Democrats are “in no position” to criticize Trump’s phone use, “having defended Clinton’s egregious and deliberate flouting” of security protocols, said WeeklyStandard.com in an editorial. Nonetheless, Trump is putting the country at risk as he gabs away on his unsecured iPhone, and “the Chinese take careful notes,” hoping for insights they can use to influence him. Trump doesn’t seem to have “drawn any lessons” from Clinton’s irresponsible conduct, said Noah Rothman in CommentaryMagazine.com. 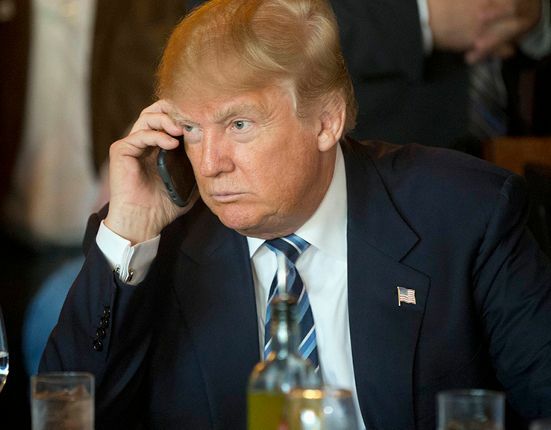 A president blabbing away on a cellphone whose calls can be easily intercepted is “the stuff of waking nightmares for America’s security professionals.” Ironically, Trump has correctly pointed out that China’s hacking, intelligence gathering, and influence campaigns within the U.S. pose an “acute” threat to our country.